Play Everywhere Challenge: Houston | KaBOOM! 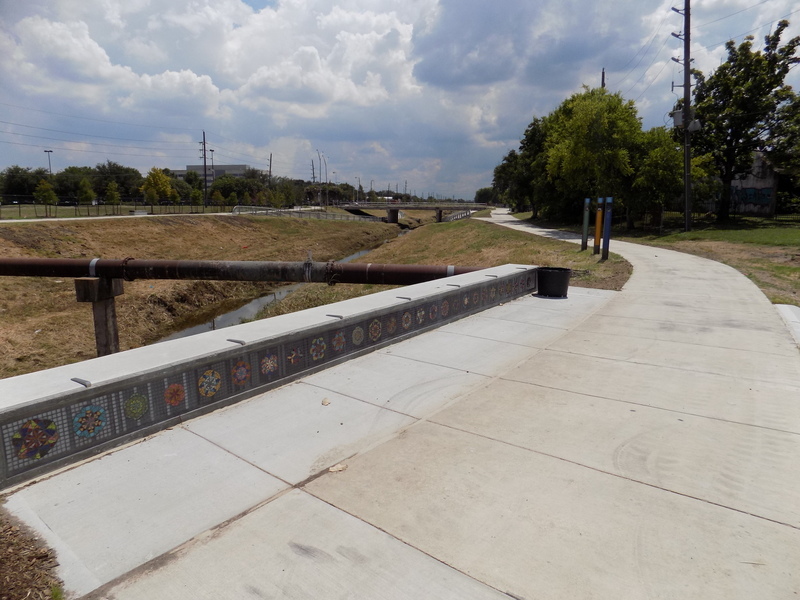 Learn about the ten projects chosen for their innovative ideas to make the Houston area more playful. TXRX Labs is a non-profit that offers workshop courses in their rapid prototyping lab, wood shop, machine shop and electronics lab. Together with the East End Management District, EsPLAYnade will transform the Navigation Street Esplanade into an inclusive place for kids. They'll install a large play tunnel, three interactive panels and a climbing wall that will serve almost 10,000 kids annually. FalonLand Studio LLC is an architecture firm that strives to design places that enliven communities and connect people to the natural world. 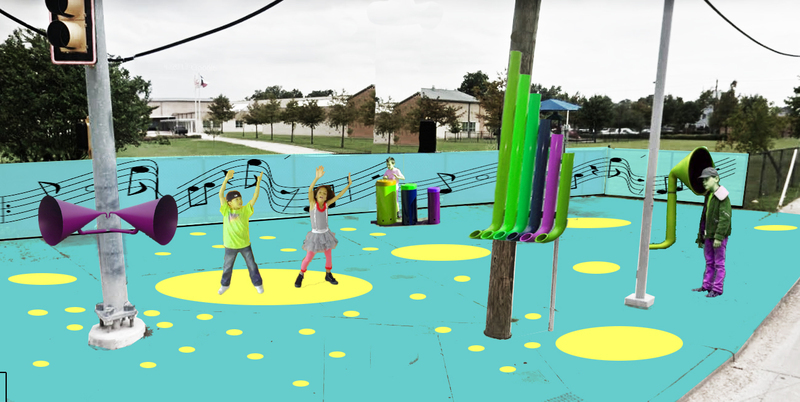 In partnership with the Open Architecture Institute, their project, "Esquina de Musica," or Corner of Music, will transform a neighborhood street corner into a community space with musical instruments and a dance floor. An estimated 1,800 kids will jump, hop, slide, spin and freestyle throughout the space annually. UP Art Studio works to drive civic pride through civic art by educating, moving and engaging communities through public art. 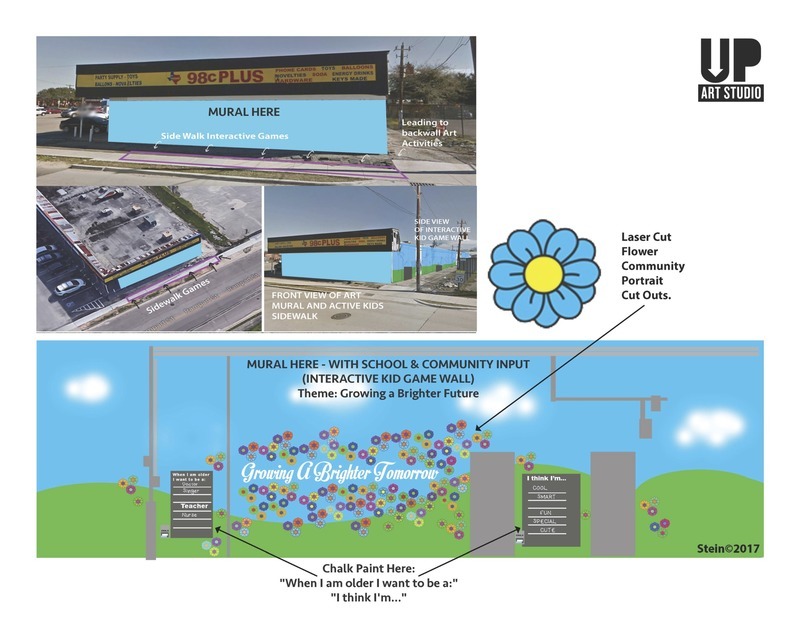 The Growing a Brighter Tomorrow in Gulfton project will transform blank walls at a shopping center an interactive chalk wall, playful sidewalk installation and a mural developed with help from kids at the local elementary school and the Gulfton Super Neighborhood Council. Once complete, the installation will serve approximately 2,500 kids per year. Connect Community works to ensure that every kid and adult in Sharpstown/Gulfton will lead a healthy, prosperous life in a safe and vibrant neighborhood. 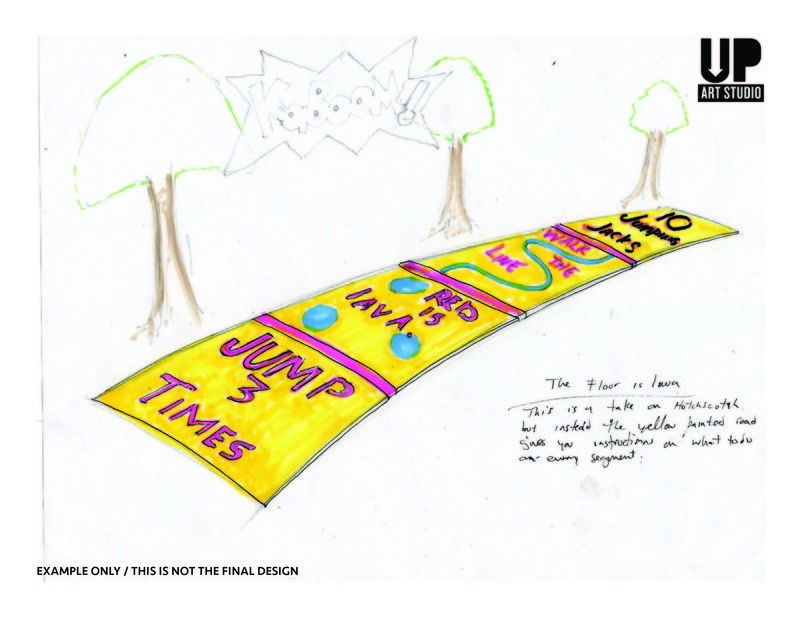 Together with KIPP Houston, Parkleta will transform an intersection into a gathering place for the community through the installation of playful crosswalks, outdoor musical instruments, seating areas and interactive sidewalks. This new play and gathering space would serve almost 2,000 kids a year. Kujawa Elementary works to provide a transdisciplinary curriculum for learning that produces the nation's best students. 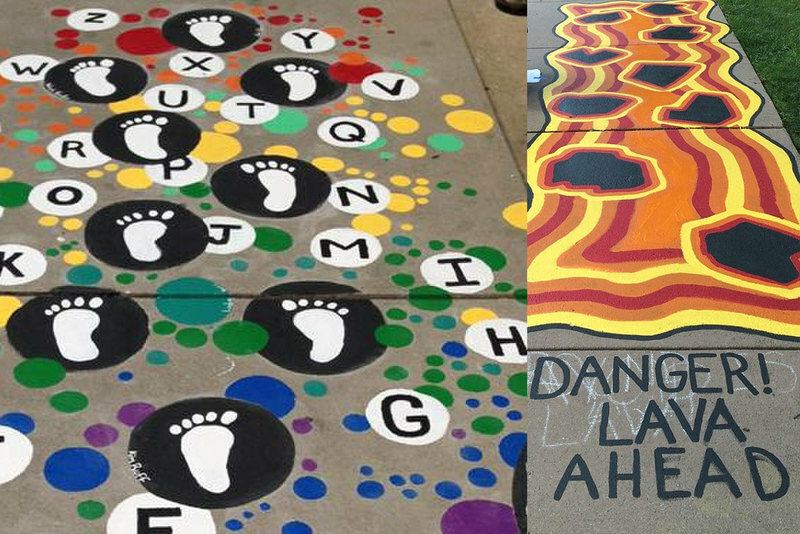 The "Play Loud" project will transform the sidewalk spaces surrounding their elementary school into public and interactive playspaces using asphalt paint and portable games. This playful addition to the Kujawa community aims to serve over 3,000 kids annually. Falon Land Studio LLC is an architecture firm that strives to design places that enliven communities and connect people to the natural world. 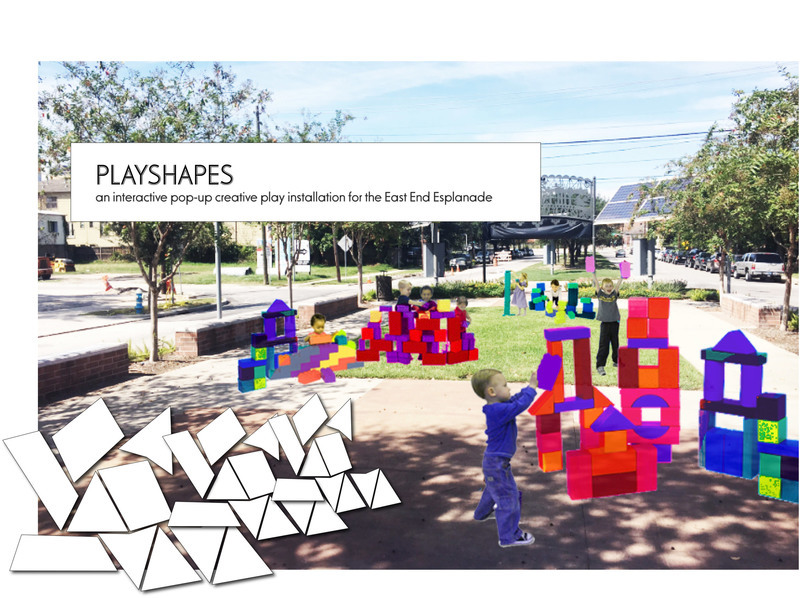 In partnership with the East End Foundation, "Playshapes" will be located in a busy walking area in the Cultural District of Houston. 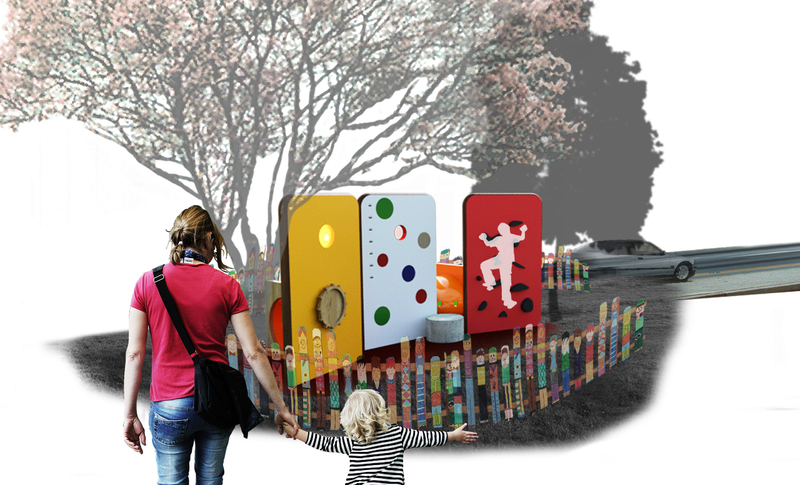 It will include pop-up colorful foam building blocks that allow kids to create their own playspace. Playshapes will later be donated to a local school in the East End and will serve an estimated 1,550 kids a year. 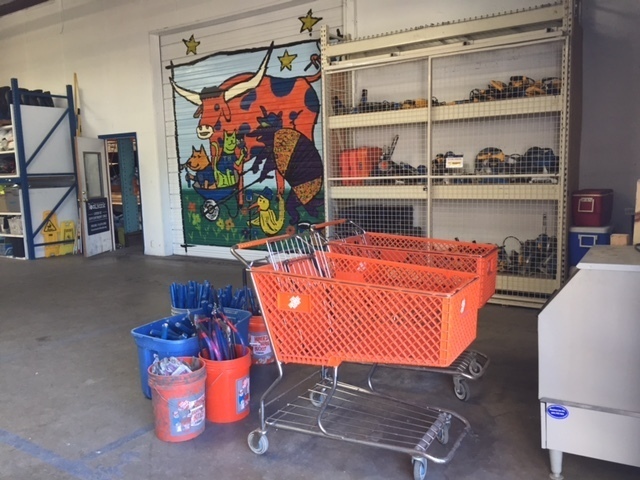 The Houston Community ToolBank works closely with other non-profits and community organizations to respond to community-identified needs. The "Houston Community ToolBank Pop-Up Playgrounds" project will add a collection of easy-to-loan playground equipment for use at youth-focused events, large-scale service projects and disaster shelters, and will be available to any non-profit focused on kids. With bounce houses, portable basketball hoops, climbers and swings, these pop-up playgrounds will serve at least 500 kids a year. The Houston Public Library system serves the fourth largest metropolitan area in the US –and one of its most diverse populations. 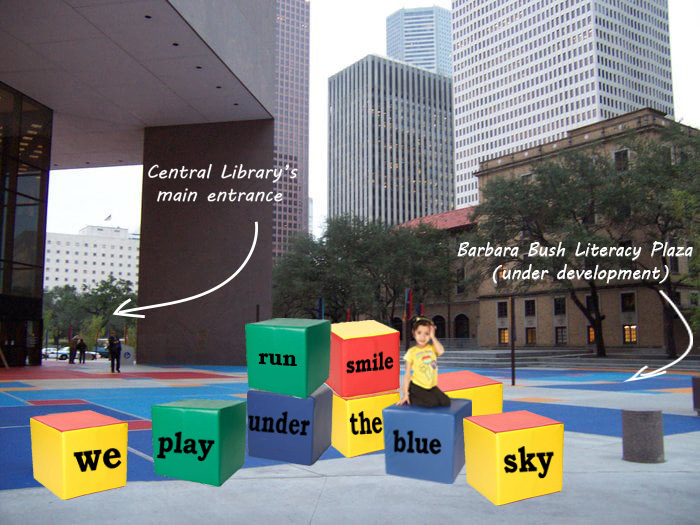 "Tell Me About It," will transform the Houston Public Library plaza into an outdoor playspace using interactive Word Stacks – large foam cubes with different words on the faces of each cube that kids can to climb on, build and create phrases with their friends and families. Coupled with a new indoor puppet theater the new plaza will serve an estimated 10,000 kids annually. The Harris County Public Health department is on a mission to promote a healthy and safe community by preventing illness and injury for all. 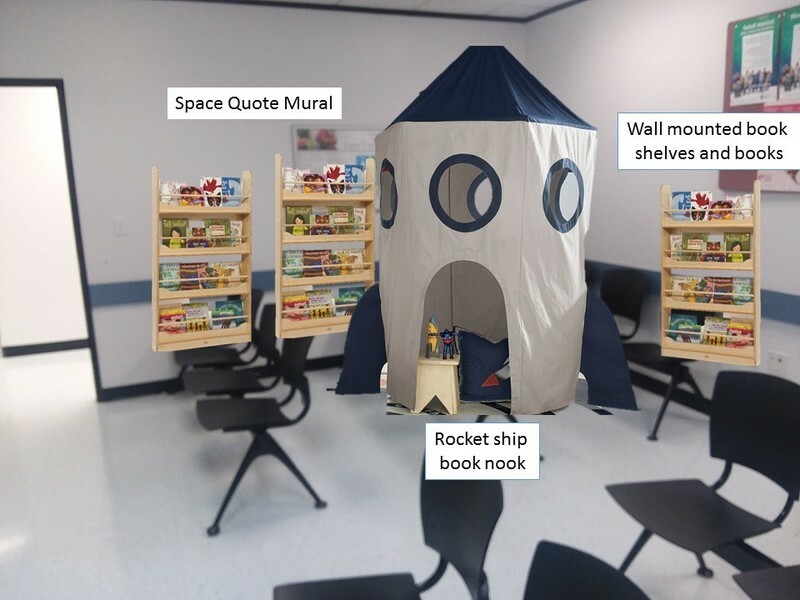 The "Wait-less" project will transform waiting rooms and hallways at the Antoine Health Clinic and WIC Clinic into interactive, space-themed areas to play. Amenities include an interactive floor installation, murals depicting outer space, think and learn stationary bikes and a book nook. The new space will provide the community with a family-friendly place to play, serving over 11,000 kids a year. Westchase District works to enhance the economic development, mobility, safety and beautification of the Westchase community. The "Westchase District Community Play Space" will transform a major walkway that connects neighborhoods with 3-D sidewalk art and a zip line, helping kids play along the way with their families on a commute or a walk. Once complete, this project would serve approximately 500 kids a year.